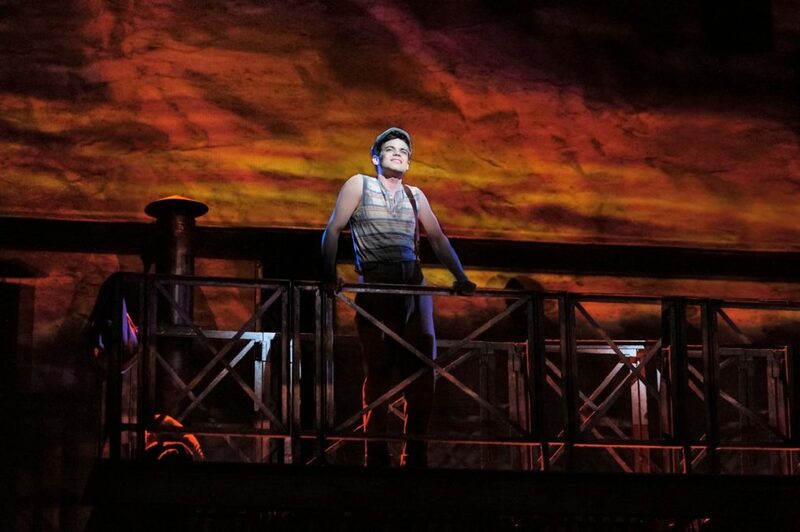 Would Jeremy Jordan Don the Newsboy Cap for a Newsies Remake? Jeremy Jordan will seize the day on the big screen when a filmed performance of the Newsies tour heads to movie theaters next year. For one night only this September, he’ll reprise his Tony-nominated turn as Jack Kelly. It’s one thing to carry the banner again on stage for the camera, but how does he feel about headlining an actual Newsies movie remake? At least there's the filmed performance, right? In addition to Jordan, the Disney Theatrical Productions and Fathom Events feature will include his fellow original co-stars Kara Lindsay, Ben Fankhauser and Andrew Keenan-Bolger. The world will know their talents in early 2017.